The Moroccanoil Medium Barrel Brush is the perfect investment buy, as it lasts twice as long as standard brushes. 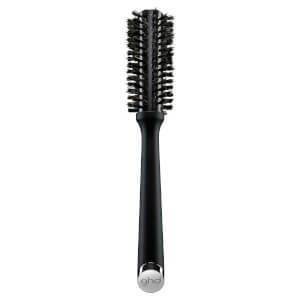 The ions in the bristles repel water to reduce drying time, as well as conditioning the hair to make it shiny. Strong and durable, this brush promotes healthy hair that exudes vitality. Can be used on medium hair to create loose waves and volume. Bought medium but this turned out smaller than expected. However, gave excellent results. 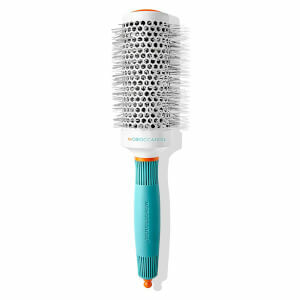 This Moroccanoil Medium Barrel Brush is the best brush I have ever used. I tend to get static hair when using barrel brushes, but not with this one. I highly recommend.